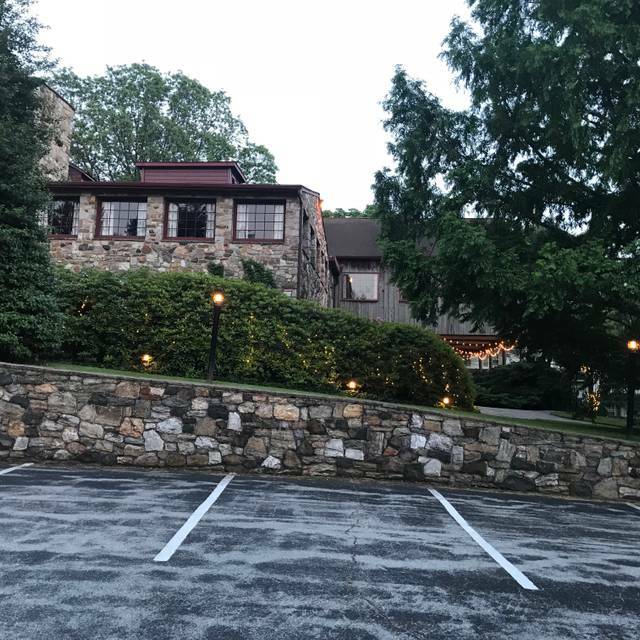 You must make reservations at least 5 minutes in advance of the time at Foxfire at The Stone Barn. 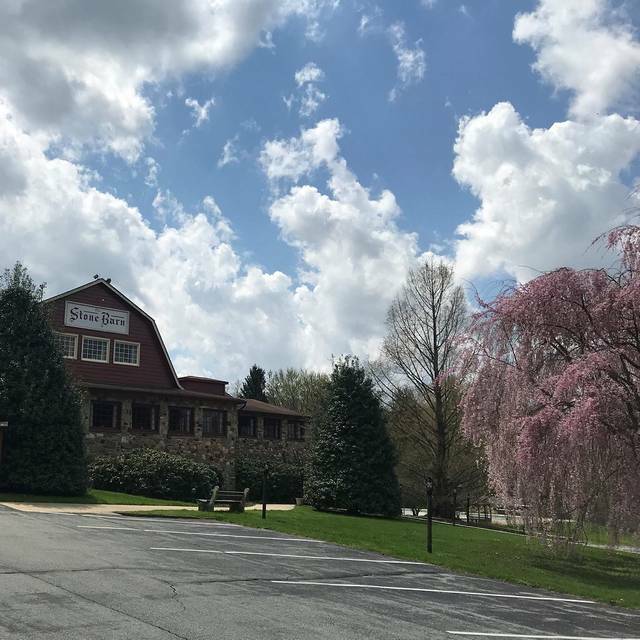 The Stone Barn welcomes you to experience the rustic charm of our converted historic barn, featuring Farm-to-Fork Fare at our Foxfire Restaurant. If your group size or time is not listed, it may still be available- Just call us at 610 • 347 • 2414! Dinners offer ala carte selections from a menu utilizing produce from local farm such as Nunamaker Farms, Carlisle Produce, Swallow Hill Farm, Marlboro Mushrooms, Mother Earth Mushrooms, and many others, even from our own gardens right here on the farm! Sunday Brunch is served buffet style with rotating options so that even a weekly attendee will find new selections each visit. Staples include made-to-order omelettes and a carving station along with breakfast and lunch dishes, soups, salads, and dessert. 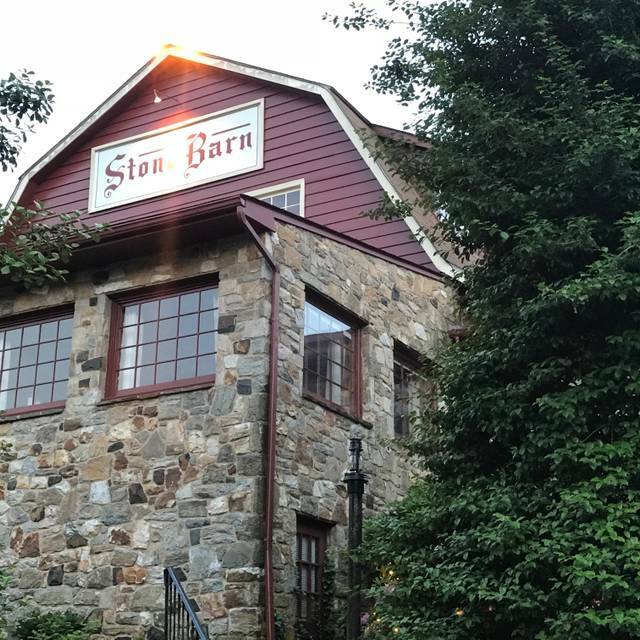 The Stone Barn is BYOB with no corkage fee, so you are welcome to bring any alcoholic beverage to enjoy with your meal. We are happy to provide you with glassware and mixers, so be sure to ask your server about whatever you might need! We had a party of 8 and everything we ordered was delicious. Several of us ordered the ribeye and it was a nice size steak and was very good! There just seems to lacking in the ambiance. It’s such a cute stone farmhouse but yet when you walk into the open space dining room it’s just not warm and inviting. But overall we had a great meal! Desserts were delicious as well! Space was charming but too cold. It was a wet, cool night, but dining space was really cold. Cannot wait to go back during the summer....space will be great on hot nights. Outdoor space super cute and inviting too. Two couples met up for dinner. It’s one of my favorite restaurants. First it has great ambiance. The servers are very nice. The chef sometimes comes out to chat with the guests. It’s byob which is also great. I had the best seared scallops I’ve ever had. The Kennett Square mushroom chowder is also to die for. Definitely recommend. Sunday brunch was incredible! From the service and ambiance to the food, everything was top of the line. We will be returning! Setting was beautiful and the food was good. The wait service could have been more experienced, but was very nice. The restaurant is consistently wonderful! The staff is very attentive and the food is high quality. The duck breast and swordfish were terrific! Kudos to the establishment; it is one of our favorites! Very dated facility which detracted from the overall experience. Food was very good, service was acceptable. Not consistent with the level of experience expected, as compared to other restaurants on OpenTable. Delicious!!! All food was hot when it came out. Everything fresh. Everyone in our party had a good meal and was pleased. Terrific food and great value! We brought beer and wine to enjoy with our meals.... service was great. We will return. Awesome food. Great value since BYOB. Really a Gem for the Kennett area. Take your bottle of wine and enjoy the exceptional culinary experience! Thank you for a great brunch, we will be back. A hidden gem. We had a wonderful meal with outstanding service. Service excellent! We’ll be back. Thank you Erica! Perfect spot for a small group dinner or date night. Loved the ambiance and fireplace. Food was spectacular. We dropped the ball and forgot our wine, but still had a great night and waitress was spectacular. We even had one glass donated to us which was such a nice touch! Will def return. The mushroom chowder was delicious as was the crab cakes and the strip steak. The mashed potatoes were not hot. Can’t wait to come back to try something else. Worst service I have ever received. The was just ok. My daughter’s duck was over cooked, my scallops weee raw. Great food but does not seem to be well traveled. No one there, no music, didn't even look open. Quieter than a church which was a bit off putting despite really good food. A shame they cannot advertise and get more folks to come in. Waitress disinterested, had no idea of specials or how they were prepared. Frosty mug was a warm drinking glass. Facility is lovely and food very good. We had an overall great experience at the stone barn. Our food was amazing, server was attentive and the facility was beautiful. We'll be back for sure. This was just awful- horrible food - breading didn’t stay on the calamari, braised chicken and sausage was flat out disgusting. Butternut squash ravioli faked with so much sugars for to boot we were ignored between courses and it took nearly an hour between appetizers and main. Just a few other tables in an almost completely empty restaurant. Great service, food was exceptional. This is a cozy atmosphere and a great local hidden gem! I made a reservation to have dinner here after a trip to Longwood Gardens Christmas. The occasion was my brother- in-law was proposing to his girlfriend. The four of us traveled from 2 hrs away for a 7pm admission into Longwood so we needed a later reservation for dinner. Foxfire had openings and we’re so accommodating to us! When we arrived the hostess/server made us feel welcome. We were the only guests in the restaurant but never felt rushed! She made great recommendations for entrees : the crab cakes and chicken dishes. We also had the shrimp and calamari as appetizers. Everything was delicious! To top it all off, the restaurant was decorated beautifully for the holidays. I would highly recommend this restaurant. Thecfood was fabulous. Had a melt in your mouth filet mugnon, veggies roasted to perfection. Loved the converted barn Ambience! This place is a hidden gem. Everything was amazing, from the cozy fireplace to our server Charlotte. 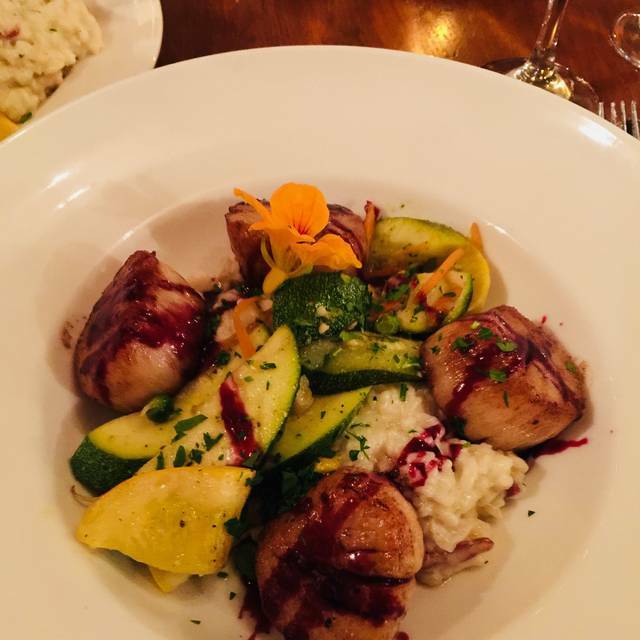 My husband and I consider ourselves foodies, and Foxfire did not disappoint. The mushroom soup was a delicious starter, and the oysters Rockefeller were so rich they could have been a meal themselves. The filet mignon was melt in your mouth delicious, and the crab fra diavolo was customizable to our spice level preference. Even the dessert had a unique spin...fresh blueberries nestled in the middle of the chocolate lava cake. And the BYOB policy made this meal less bank breaking than a traditional high end restaurant. 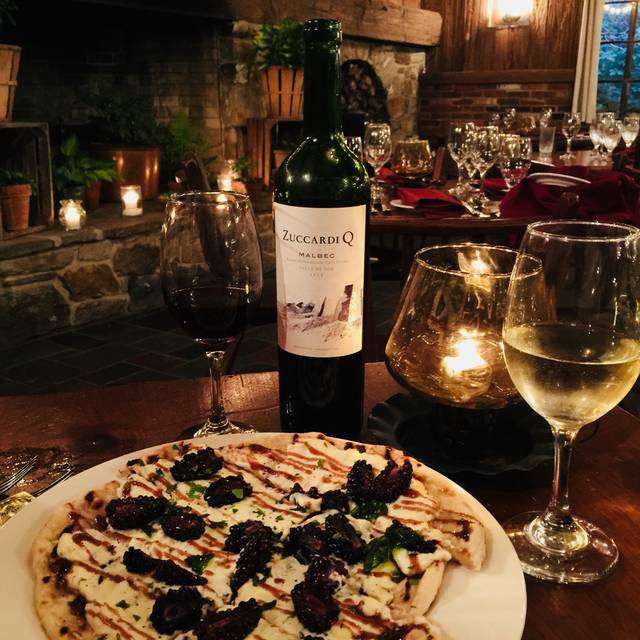 We would highly recommend Foxfire for dates, dinner with friends, and other intimate gatherings. The only thing positive about this place is the ambience (and the mushroom soup). Restaurant was freezing cold, even extra heaters and the fireplace didn’t help. The waitstaff was flighty, slow, and didn’t know the menu. There are only a few tables and yet we didn’t get acknowledged until we were sitting there for 10 minutes. And (other than the soup) the food was all mediocre. Our table had a variety of things on the menu (Pho, Pork Chop, Steak. Chicken, Crepes) and no one enjoyed their meal. Flavors were bland and nothing seemed like it was cooked properly. Unfortunately, this is not a restaurant we will return to. Great Food, Incredible Service and Welocoming Ambience. Excellent fresh, local ingredients. Highly recommend. Service is exceptional. Just need to say that our brunch there yesterday was perfect. Service was attentive and great personalities of all staff. Selection and preparation was excellent. What an improvement from years ago! A winning team. Wonderful ambiance. Great service and wonderful food. Consistently great! One of our favorite restaurants! Do not order the vegetable pho. It's a bowl of undercooked fettucine with a little aggressively salty broth, a rubbery boiled egg, and interestingly, despite 'vegetable' being in the name, only scant julianned carrrots and mushrooms. I could not eat more than a few bites and as anyone who knows me can attest, I love to eat and will eat pretty much anything. I guess I should have known better than to order a Vietnamese dish at a place like the Foxfire. My dinner mate's stuffed chicken was edible, but tasteless. The worst part is that we waited about an hour for our entrees and were there for a total of 2 hours. We were told they were understaffed that night, but after reading other reviews, a long wait for everything including having our order taken is normal. The pho was comped, but even after the waiter asked how I liked it and noticed I wasn't eating, he still didn't offer to get me something else and actually asked if we were interested in ordering dessert. Seriously? No apology or effort to make sure I didn't leave with a bad experience or empty stomach was made. It was our first and last visit. What a nice surprise! We found this on Open Table. I’ve already told my friends and coworkers about this place. The staff were friendly. The service was a bit slow, but they did have a wedding going on upstairs and the staff did mention they were understaffed. The pork chop with apples was phenomenal!!! We were 1 of only 3 tables that were occupied. The kitchen is one of the slowest I have ever encountered. The service was okay, but could have been better. For the price, the food was just not what I would expect. Add to it that the dining area was cold enough to be used for a meat locker and it was just not a good experience. Enjoyed the experience! Good food. Good service. Will definitely return.